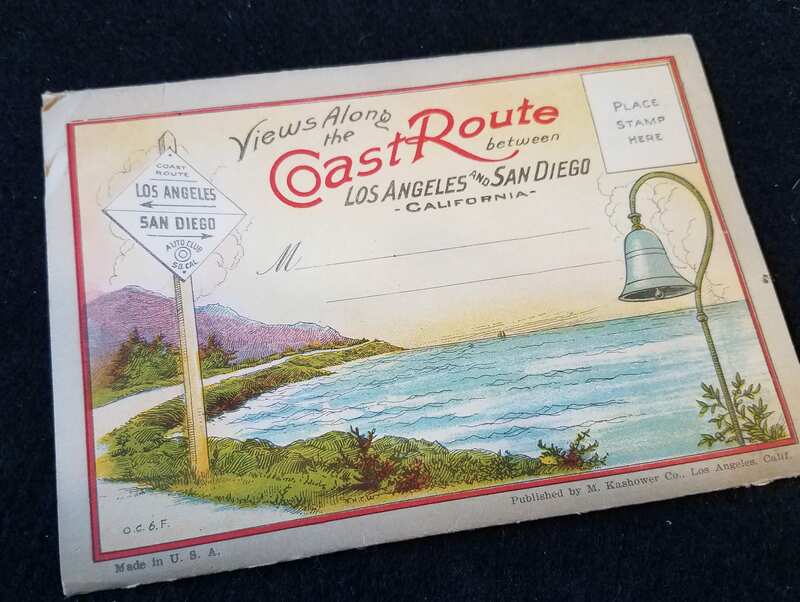 I have here a pretty little souvenir folder of the views along the coast of California between San Diego and Los Angeles in the 1920's. 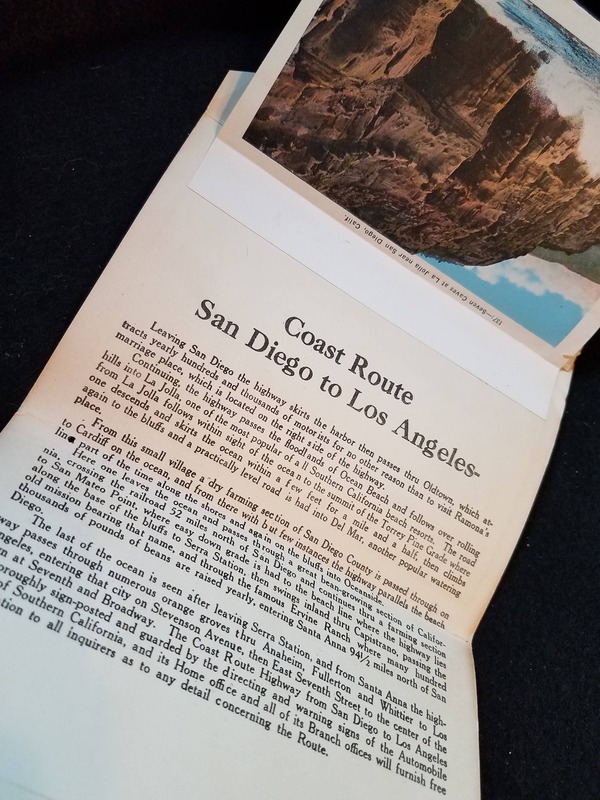 Has fold out pictures such as tractor work in an orange grove, downtown anaheim with Model T's lined up, a cute bungalow, mission San Juan Capistrano, Oceanside Beach, Torrey Pines and much more. 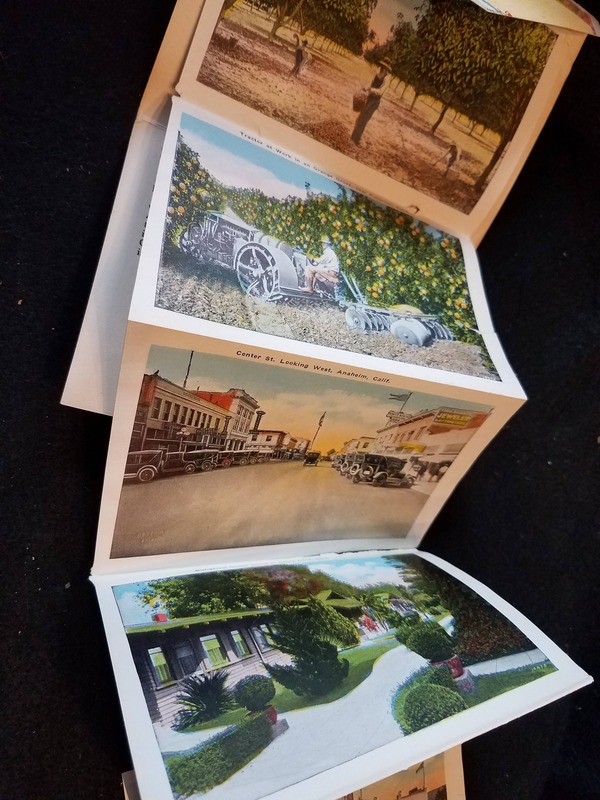 There are a total of 20 pics, black and whites which have been hand colored. On the inside of the folder it talks about the route and there is a map on the back. There are 2 tears in the creases of the pics and 2 are torn 3/4". Other than being slightly worn around the edges, it is in good vintage condition. It is 6 1/4 X 4 1/2". The front isn't a photo but a drawing.